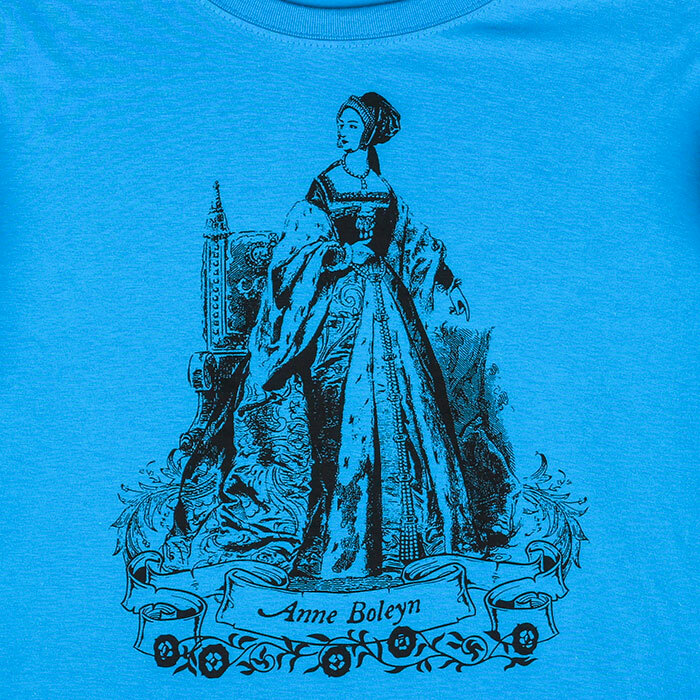 This T-shirt features a design by Tiffini Elektra X based on a tableau of several vintage engravings to create a one-of-a-kind Anne Boleyn tribute. Notes from Tiffini: For a casual tee this has a nice feminine shape to it. I would say this shirt is cut long and has a nice subtle shape that very slightly tapers in at the waist. 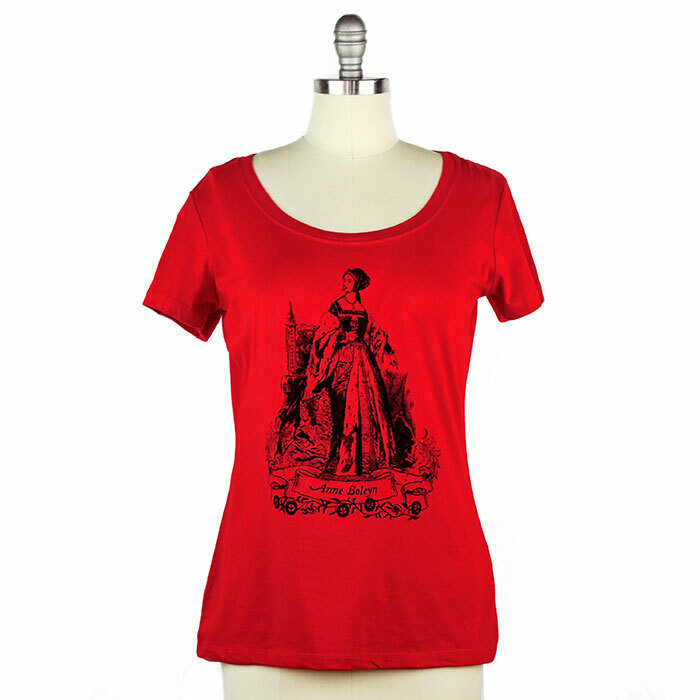 There is a nice weight and a small amount of stretch to the 100% cotton material. 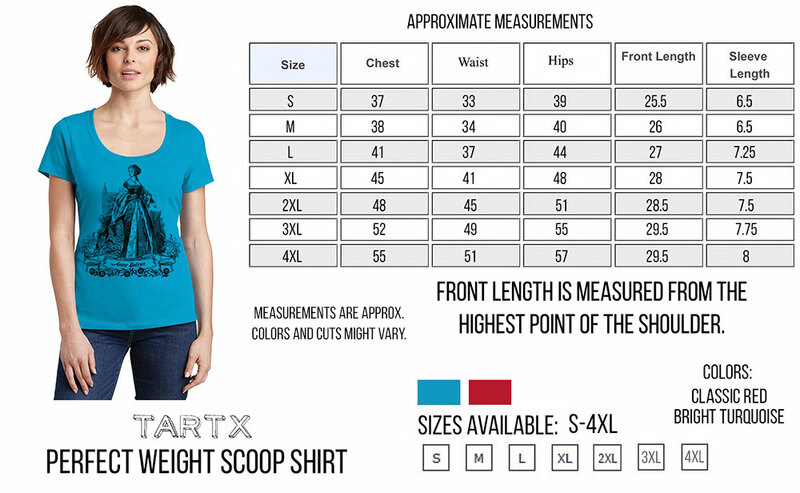 Size up for a looser fit and more length though ideally consult the size chart for more accuracy. 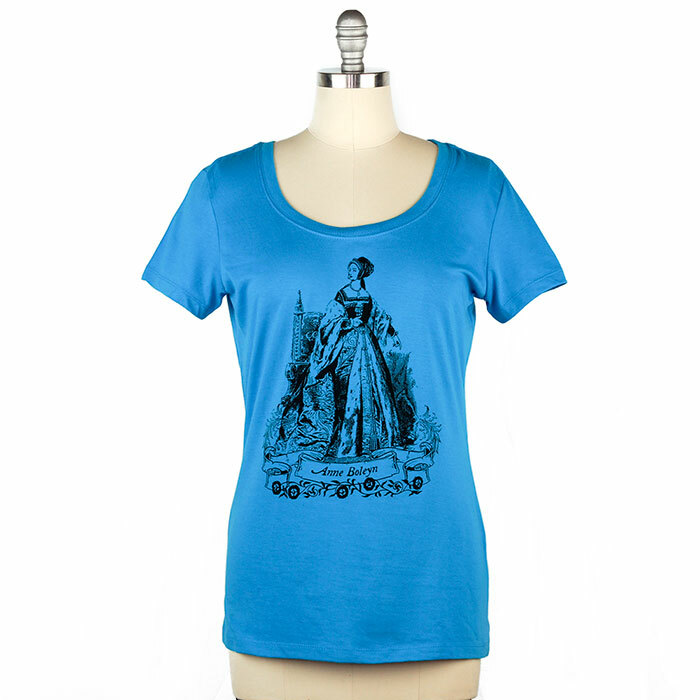 Design is printed on a 4.3 ounce, 100% ring spun combed cotton scoop tee. 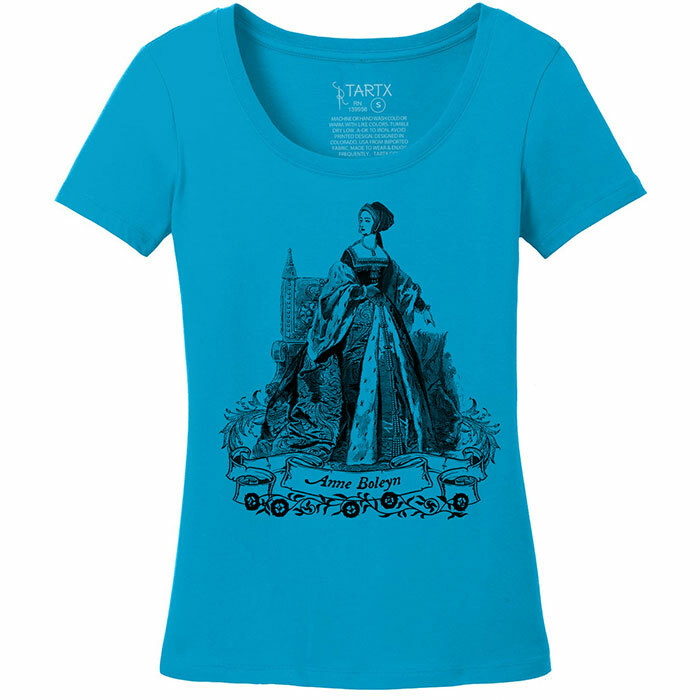 Perfect Weight tees remain looking and feeling perfect wear after wear. Colours: Classic Red and Turquoise. 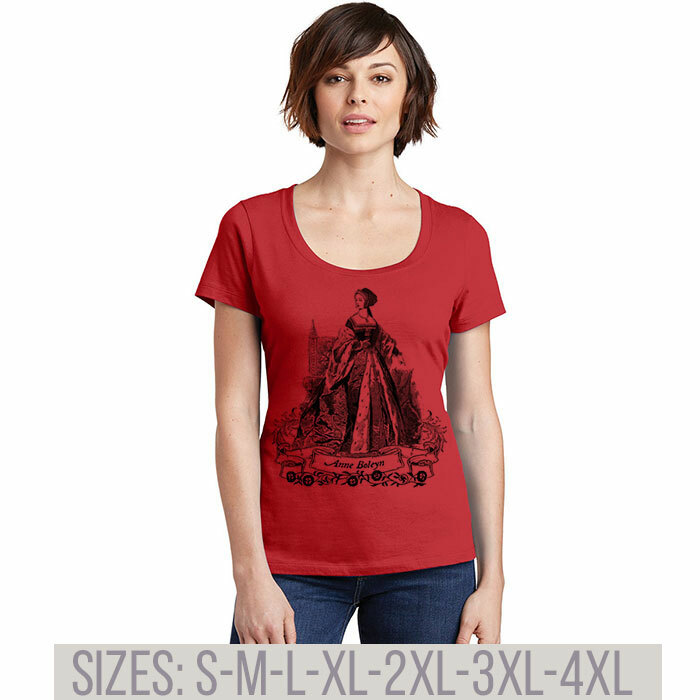 See "More Details" for size chart.